Before making his acting debut, he served as an assistant director to filmmaker Mahesh Bhatt in the 1987 film "Kaash". Then in 1996, Arshad made his acting debut with "Tere Mere Sapne". He later featured in films such as the "Munna Bhai" franchise, "Hogi Pyaar Ki Jeet", "Hulchul", "Maine Pyaar Kyun Kiya? ", "Golmaal" franchise and "Ishqiya". On his journey in the industry, he said: "It has been good. When I started before getting into movies I was working really hard and was struggling. 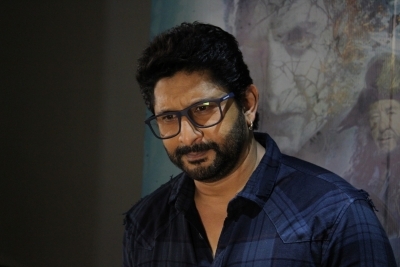 Since the time I joined movies, till now my life has gotten better and better," said Arshad, who has "Total Dhamaal" and "Pagalpanti" in his kitty. The actor, who is popular as Circuit from "Munna Bhai", added that he has absolutely no reason to complain. With films like "Golmaal", "Dhamaal" and "Salaam Namaste", the 50-year-old has made a name for himself in the comedy genre. "When a comic actor does a serious role, they start looking odd... The serious films that I have done, nobody said anything... they instead said 'you were good'. In 'Seher', nobody could believe it was the same guy. I thankfully proved that I have worked everywhere," he said. The "Jolly LLB" actor added that he tries to play all his characters "very differently".